Is this the right major for you? UC Davis academic advisors hear many concerns come up with students who feel trapped in a major. While choosing a major before college may work out for some students, others take their time, opting to explore their options before making a commitment. Either option has its share of benefits and challenges. By the time a student arrives for the start of college, ready to pursue a major it may quickly become apparent the major is not a good fit. Making matters potentially more frustrating, a student might get to a point where he or she feels trapped in that major. You are too far along in your current major to change into something else, or at least you think you are. You know you don’t like that current major but don’t know what you want to do in its place. There is pressure, often from family or communities, to complete the current major. What can you do if you feel trapped in your major? Here is a four-step approach to help you figure out a path forward. Think through why you are in your current major. Is there a compelling reason to stay there? Maybe the classes this quarter are not very interesting, especially if they are preparatory classes or prerequisites. What classes would you take in the future that remind you why you chose your major? Are there things about your major that you like? Maybe you like the idea of the major and some of the classes, but not all of it. Are there any focus areas in the major that are interesting to you? Some majors have concentrations/focus areas/depth topics within the major. One of these may still be appealing to you, enough so that you could still see value remaining in your major. Have You Considered Taking an Elective? There may be ways to remain in your major, even if it’s not your passion, while still taking interesting classes or activities outside of that major. Do you have room in your schedule to take other classes that appeal to you? Have you considered completing a double major or minor in something that feeds your soul? What about GE classes? Do you have the option of taking electives? Have you ever looked at classes through the Experimental College or the Craft Center? Is there a club or a group membership to help balance your schoolwork and personal life? Does Your Major Have to Align with Your Career Goals? Could the career you want be found taking a different major? Have you considered how you can apply what you are learning in your major to a career that is interesting to you? You may want to talk to the advisor in your major, or faculty in the department, who can help you to think about career options you can follow after graduation. It is not always a linear path. A major in math doesn’t necessarily mean you have to become a math teacher; nor does majoring in political science mean you have to become a political analyst. It’s just as safe to assume the math major might end up as a political analyst and/or vice-versa. 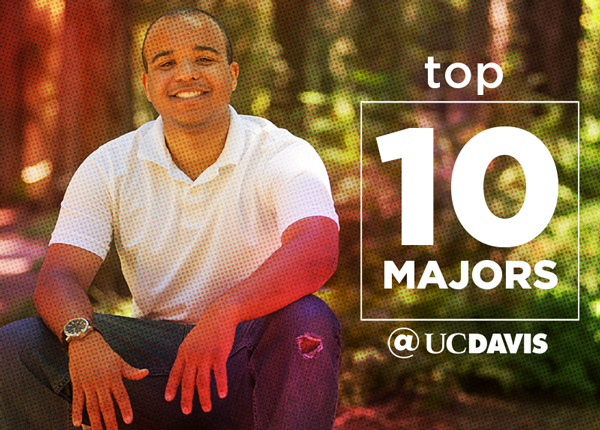 Talk to the UC Davis career-counseling experts about how you can align your major with broad or narrow career goals. Where do you start if you decide changing your major is the right choice? Check out the “What Can I Do With My Major?” Blog. Find what department the majors are housed in, and how to meet with an advisor to help you make a decision about changing your major. No matter what your major, consider what you are learning at college, whether in your classes or outside of the classroom. Maybe it means learning something unexpected about yourself, your strengths and areas for growth? Part of the benefit of a college education is learning critical thinking skills. It may not seem like it now, but facing the burden of feeling trapped in a major can equip you with skills that transcend college, including self-reflection, resiliency, determination, bravery, persistence, navigation, resourcefulness, coordination and decision-making, just to name a few. There is no such thing as a guaranteed fix; however, there are certainly opportunities to enhance your college experience when you feel trapped in your major, whether you decide to make a formalized change—or not. Nancy Davis is an academic advisor in the UC Davis College of Engineering Undergraduate Office.